During the past decade, the Broncos have been one of the preeminent offensive teams in college fantasy football. Coach Bryan Harsin has guided Boise State to a 31-9 record in four seasons and employs an explosive aerial assault with QB Brett Rypien and WR Cedrick Wilson, who transferred on campus after playing at Coffeyville Community College in Kansas. In 2015, he was named NJCAA All-American after catching 66 passes for 1,045 yards and 17 touchdowns. During the Broncos’ spring practices last year, he made an immediate impression on the coaching staff and was promoted to the starting unit. In his first game, Wilson fulfilled expectations with a 7-catch, 113-yard (and a touchdown) outing. When the season concluded, the former quarterback was named All-Mountain West Honorable Mention with 56 catches for 1,129 yards and team-high 11 touchdowns. The senior routinely generates highlight catches: He wins 50-50 jump balls and makes remarkable one-handed grabs. The Broncos averaged 298 passing yards per game last year and will likely surpass those numbers with Rypien and Wilson in 2017. Despite uncertainty at quarterback the past two seasons, Christian Kirk dominated the competition in the SEC. In 2015, he was named Freshman All-American by the Sporting News and last year, he earned First Team All-SEC at three different positions: all-purpose, wide receiver and return specialist. During his tenure, Kirk has recorded back-to-back 80-catch campaigns, totaled 1,937 receiving yards and scored 16 touchdowns. As a returner, he has combined for 1,181 punt and kick return yards while reaching the end zone five times on punts. At 5’11” and 200 pounds, Kirk has blazing speed and tremendous ability. A natural leader, teammates admire, and follow, the junior game breaker, and coach Kevin Sumlin praises Kirk’s work ethic and dedication to his craft. Many SEC observers and NFL scouts believe that the speedster will dominate the Combine next year and solidify a first-round grade. Even without a clear-cut signal caller after spring practices, Kirk will flourish for college fantasy footballers in 2017. Arriving on the ASU campus, the Sun Devils faithful had high expectations for N’Keal Harry, who was a five-star recruit and the eighteenth-overall prospect by Rivals.com coming out of high school. The true freshman did not disappoint: He immediately made an impact, scoring a touchdown in his first three games. At the conclusion of the campaign, Harry corralled 58 passes for 659 yards and five touchdowns. At 6’4” and 220 pounds, he presents a huge challenge for defensive backs with size, speed and athleticism. He is a very good route runner, who vertically stretches the field. Harry conquers press coverage with good hands and a quick first step. In one-on-one matchups, the sensational sophomore wins jump balls and high-points the football. If Blake Barnett is named the starting quarterback, Harry could become an All-American and fantasy fanatics must watch the training camp battle closely in Tempe, Arizona. Searching for a cheap QB-WR duo? The Missouri Tigers offer a tremendous option without spending a lot of draft capital. In college fantasy football drafts, Drew Lock and J’Mon Moore are being overlooked this summer. First two seasons on campus, Moore showed glimpses of his talent with 30 catches for 383 yards and three touchdowns. Last year, he catapulted among the best receivers in the SEC with 62 catches for 1,012 and eight touchdowns. He became the eighth Tiger in the program’s history to surpass 1,000 yards and finished second in the Conference in receiving yards. Moore recorded over 100 yards in six games and averaged 16.3 ypc. Second year coach Barry Odom and offensive coordinator Josh Heupel implemented an up-tempo attack last season and expect the team to take another step forward after finishing 20th in passing yards per game with 295.4. Investing in Lock and Moore will pay a nice dividend in 2017. Over the past two seasons, the Cougars have been in the CFP conversation and posted a 22-5 mark. Unfortunately for Houston fans, Tom Herman left to coach Texas and quarterback Greg Ward, Jr. moved onto a career in the NFL. The Cougars hired coach Major Applewhite and promoted Texas A&M transfer Kyle Allen to replace the aforementioned stars. Both Applewhite and Allen will count on Linell Bonner to keep the chains moving. The senior wide receiver ranked fifth in the FBS last season with 98 receptions: He also accrued 1,118 yards and scored three times. In 2016, Bonner named AAC Honorable Mention and earned the AAC All-Academic Team in consecutive campaigns. At 6’0” and 202 pounds, Bonner runs good routes, owns sticky hands and ventures into the middle of the defense. Despite the turnover, the senior will rank among the best receivers of in the country by the end of the season. In 2017, the Bears will no longer exclusively employ the up-tempo, wide-open offense under former coach Sonny Dykes. New coach Justin Wilcox will incorporate pro-style formations with the quarterback under center and utilize the tight ends more often. No matter the formation, Demetris Robertson will be on the field. One of the nation’s top high school recruits, the speedster established new schools marks for freshmen last year in receiving yards (previously held by DeSean Jackson) and receptions (formerly owned by Keenan Allen) with 50 catches for 767 yards and seven touchdowns. With gamebreaking speed, Robertson caught five passes for over 50 yards and averaged 15.3 ypc. During the spring, he participated on the Bears’ track and field team, running the 100m and 4x100 relay. 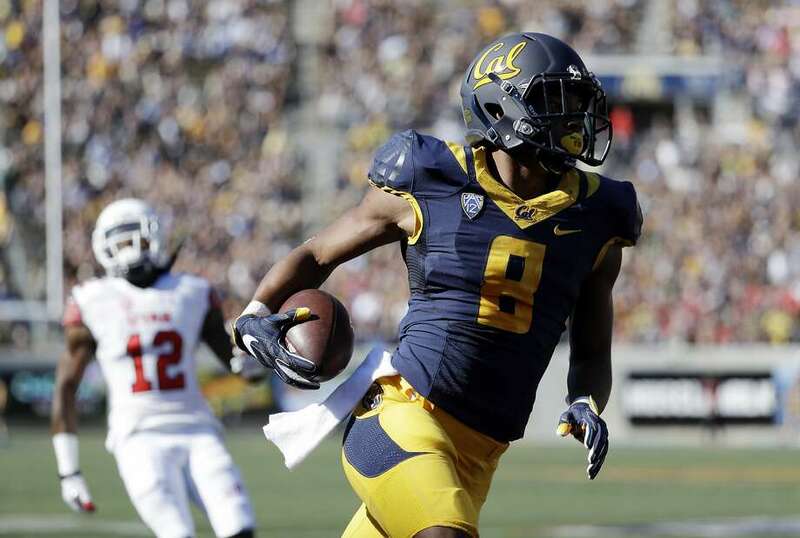 Robertson is the best athlete on the California roster and will impact the return game as well as the aerial assault. There are concerns at quarterback in Berkeley, California this season; nevertheless, Robinson might become an All-American in 2017. The Bulldogs must replace the recording-breaking duo of Carlos Henderson and Trent Taylor, who combined for 218 receptions, 3,338 receiving yards and 31 touchdowns. Coach Skip Holtz’s club has benefited from recent transfers (Jeff Driskel, Cody Sokol, Houston Bates and Paul Turner) and expects the former Tulane wide out to continue the tradition. In two seasons for the Green Wave, Teddy Veal snatched 88 passes for 1,025 yards and six touchdowns, leading the team in receptions (48) and yards (644) as a sophomore in 2015. At 6’0” and 192 pounds, he displayed his receiving abilities in the Blue-White Spring Game in which he grabbed eight receptions for 124 yards and a touchdown. The junior’s performance foreshows a great rapport between QB J’Mar Smith and Veal, who is clearly the top option in the revamped aerial assault at Louisiana Tech. Veal will likely be a CFB star in 2017 in the Bulldogs' explosive passing game. Last season, coach Justin Fuente replaced a legend in Blacksburgh, Virginia, and led the Hokies to 10 victories. Unfortunately, Virginia Tech lost three key offensive playmakers: QB Jerod Evans, WR Isaiah Ford and TE Bucky Hodges. Cam Phillips is the top returning game breaker and will likely conclude his career as the most productive receiver in the program’s storied history. He is only 905 yards away from breaking the school mark for receiving yards (2,967) and begins the season with 165 catches for 2,063 yards and 10 touchdowns during his career. In the final seven games last year, Phillips became a weekly star in CFB leagues with 49 catches for 578 yards and three touchdowns. He is the only receiver on the Hokies with more than 22 career catches and will command a huge market-share of the passing targets.